Stunningly updated! Must see to believe the detail the owners put into making this home amazing. Views, private backyard OASIS with new saltwater pool and jacuzzi. Most updates done in last 4 years including new roof, new ac, new furnace, all new interior improvements, new garage doors, new kitchen, all updated bathrooms, all new flooring. New lighting fixtures, new plumbing fixtures. See Upgrades listed in supplement. Wonderful gated community of Sierra Ridge near open space preserve. 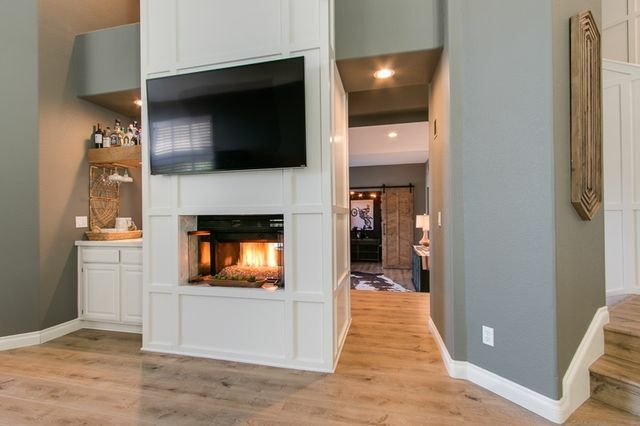 Family living w/ extra amenities like granite kitchen counters, recessed lighting, cherry colored cabinets, security system, private backyard and finished garage with tons of storage. Secure, gated community has a pool, spa, BBQ, basketball area, and putting green for family fun. Third bedroom is currently used as an office. 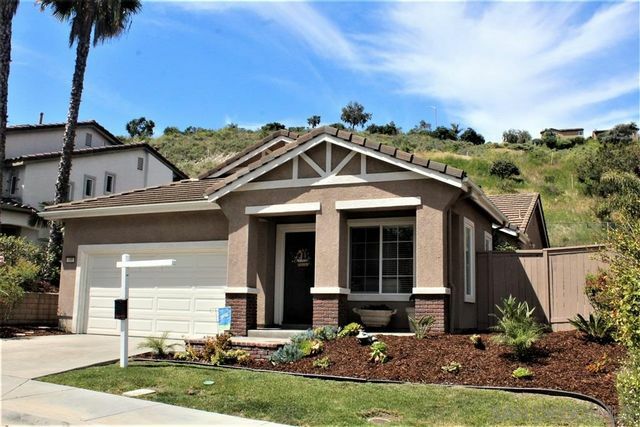 Fantastic opportunity to own this move in ready home in North Oceanside! Light and bright multi-level townhome 3 bed, 2 bath remodeled throughout! Upgrades include new kitchen cabinets, recessed lighting, laminate flooring, and low maintenance landscaping with sprinkler system. Full detached 2-car garage with good parking throughout. Fully fenced back yard. Community olympic sized pool and spa. Lives like a detached home! Very close to back gate of Camp Pendelton. 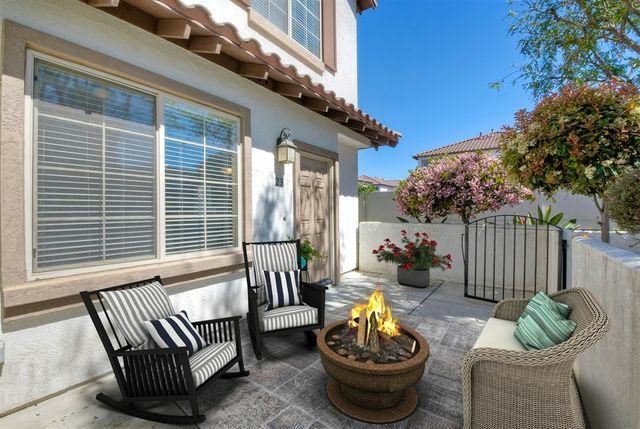 Beautiful end-unit townhome w/ a private patio entrance, open floor plan w/ crown molding, granite kitchen counter tops, SS appliances & closet pantry. A large Master bedroom w His & Her closets, a Jack & Jill bathroom adjoins the 2nd & 3rd bedrooms, built-in's in every bedroom closet.This home is one of only 53 townhomes quietly tucked away at the end of the cud-de-sac, featuring a pool, spa, tot-lot and walking paths. Freshly painted, well maintained & move-in ready! Lots of value for the price! 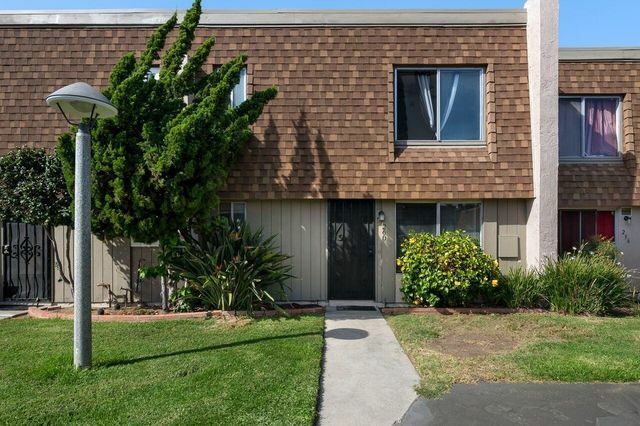 AVAILABLE 6/1/2019: Upstairs 2 bedroom, 1 bath condo - ocean close. The home is just blocks from the beach & steps from all of downtown Oceanside's offerings. Neutral paint & travertine floors throughout. 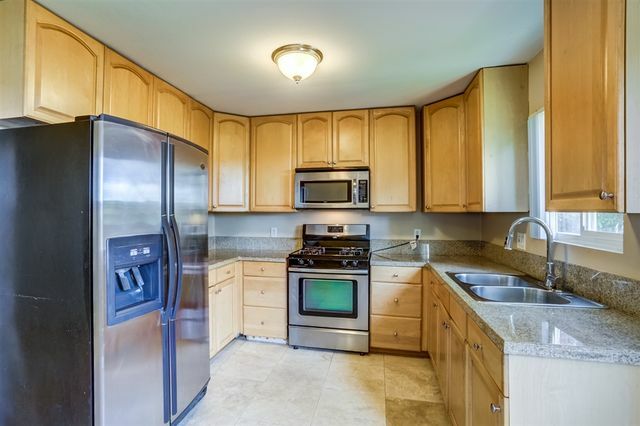 Kitchen features white shaker-style cabinetry, stainless-steel appliances, & quartz countertops. Bedrooms have mirrored wardrobe doors. Bath has been refinished a year ago with a new tub, shower doors, & vanity. Laundry room added onsite for added convenience and ease. See Supplement for more. Town-home is light and bright! Built in 2011, it has a great floor plan with granite counter tops in kitchen, SS appliances, stylish flooring, nice window coverings. The bedrooms have en suite bathrooms and laundry on the same level. The attached two car garage is convenient and has room for storage. 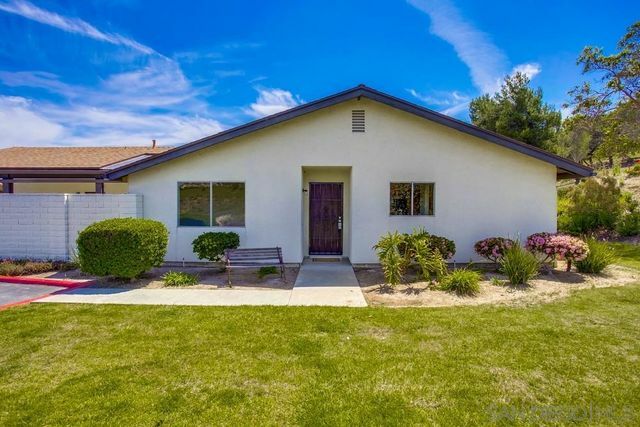 Close to shopping, parks and military base. Great first time home or investment rental property. AVAILABLE MAY 6, 2019: 2 bedroom, 1 bath unit located 5 min. from Oceanside's beautiful beaches. 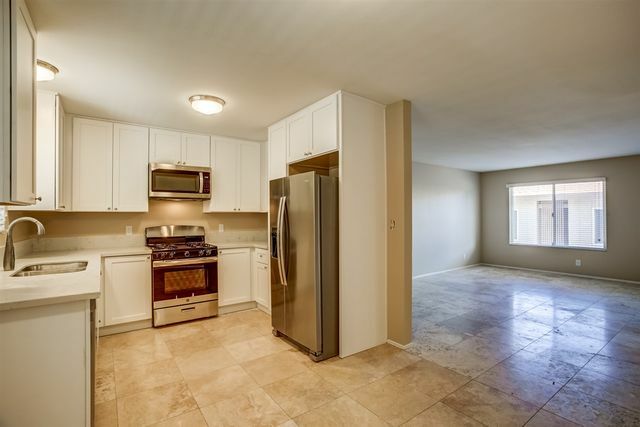 The condo is in excellent condition and features designer carpet and paint, travertine flooring, and a private yard. 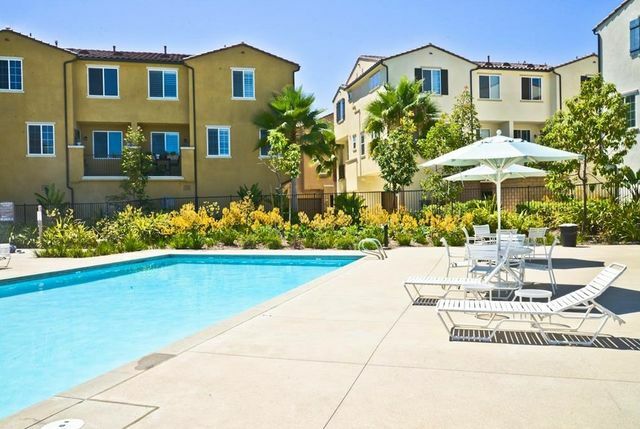 It is across the street from abundant shopping and elementary school and near to all of downtown Oceanside's offerings. The unit is also within walking distance to the Sprinter station. See Supplement for more. $50K Tesla solar panel system FULLY PAID FOR! $0 SDG&E invoices. Located on a cul-de-sac, highly desirable floorplan in BelAire community. Downstairs offers a large bedroom & full sized bathroom. 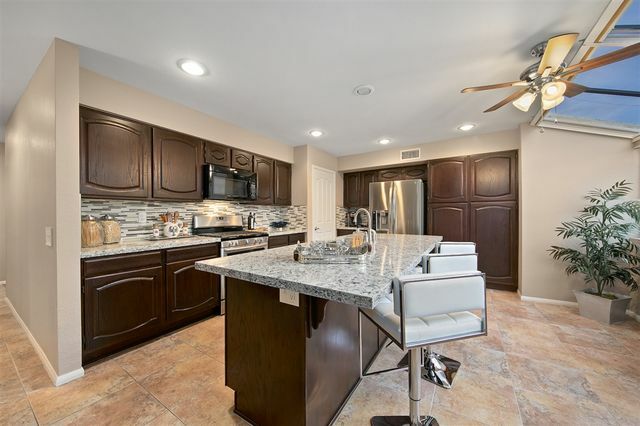 Beautiful hardwood floors, tall ceilings in living & dining area, ex-large windows, remodeled kitchen, all new appliances, dark cherry stained cabinets & granite countertops. Motorized blinds in kitchen, new custom gas fireplace. Relish in your beautifully landscaped, quiet & spacious backyard. SEE SUPPLEMENT.